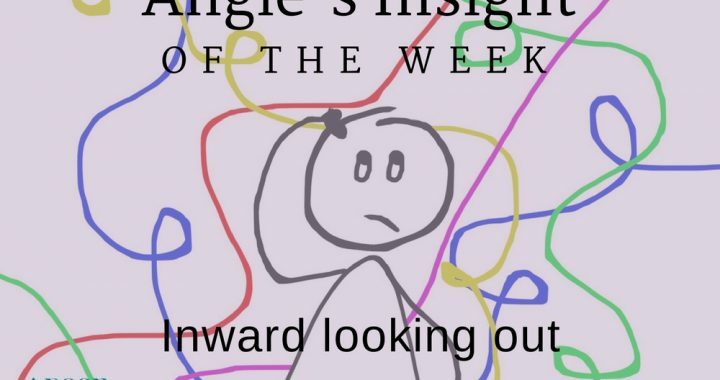 ANGIE’S INSIGHT OF THE WEEK: Do you observe your own imperfections in other people? For example, if you’re paranoid about a certain aspect of your appearance, do you notice it in other people? When I was younger, I was always worried about my weight and would ask my sisters when we were out if I was fatter than other people walking by. Whenever I had a pimple, I would notice how clear my friend’s faces were! I think that’s true for personality traits as well. And perhaps much more subtly. I have a tendency to be a little judgemental of people – especially when they do things I don’t “approve” of (as if I have any right to approve or disapprove of other people’s actions!). But oh how I hate when someone disapproves of me or something I’m doing. How dare they judge me?! I guess that’s an example of reflection – the idea that we see in others the traits that we like or dislike in ourselves. The opposite of this is when we find faults in other people but we are blind to those same faults in ourselves. It’s like the “pot calling the kettle black” or a form of hypocrisy. 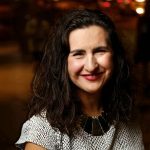 I was once in a job where I had a colleague who I felt was making my work-life difficult. Every conversation seemed to end in him needing to check with management about something we discussed. He constantly wanted to “clear it with my manager” (even things I perceived as minor decisions that he could make himself). I viewed him as a political player and felt he might have had an ulterior motive, perhaps to make me look bad or take credit for my ideas. As a result, I didn’t really trust him. Ironically, when I left that job some years later, I overheard him saying to another workmate that I was the most political person he’s had to deal with in his career! I was so shocked and upset. I never saw myself that way and felt I was always being upfront and honest in my communications with him. Maybe I reflecting my negative trait onto him. And he was probably doing the same to me! Do you sometimes observe your own imperfections on others? Or are you sometimes the pot calling the kettle black? How will you be more self-aware this week?